1. 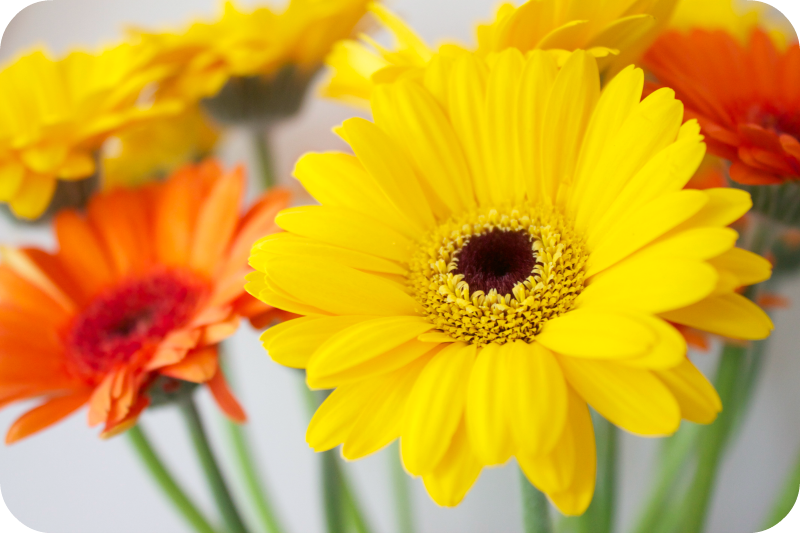 Sunshine in a vase. 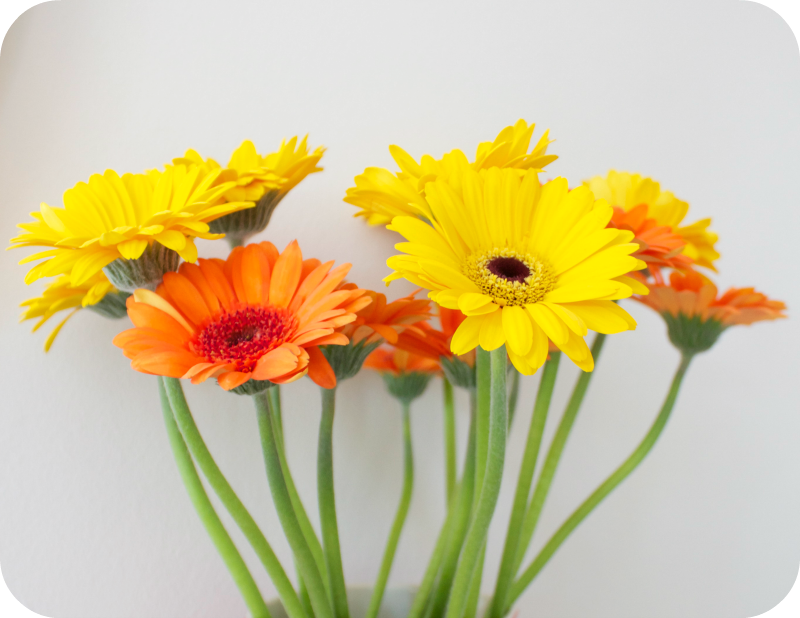 Two generous bunches of gerberas for £2 each from Aldi*. Perched on my mantelpiece, they are giving off the most gloriously happy glow. *I gave my middle class self a good talking-to and lost my Aldi virginity this week. Let's face it, there's no room for snobbery values when it comes to juggling soaring food bills. (For those who don't know, Aldi is a discount supermarket which used to have a reputation for selling low quality items. It has recently won several 'Supermarket Of The Year' awards in the UK and is fast becoming more popular and well thought-of.) I have to say I was pretty impressed. My favourites were the free range chicken, the cold meats, the fresh juice, the wine (Alison, you're right, the Chilean Merlot is very quaffable indeed!) and the flowers of course - all were considerably cheaper than I'm used to paying and super quality. I'll gloss politely over some of the other clientele but will just say that there were a few characters I definitely wouldn't like to meet down a dark alley! 2. 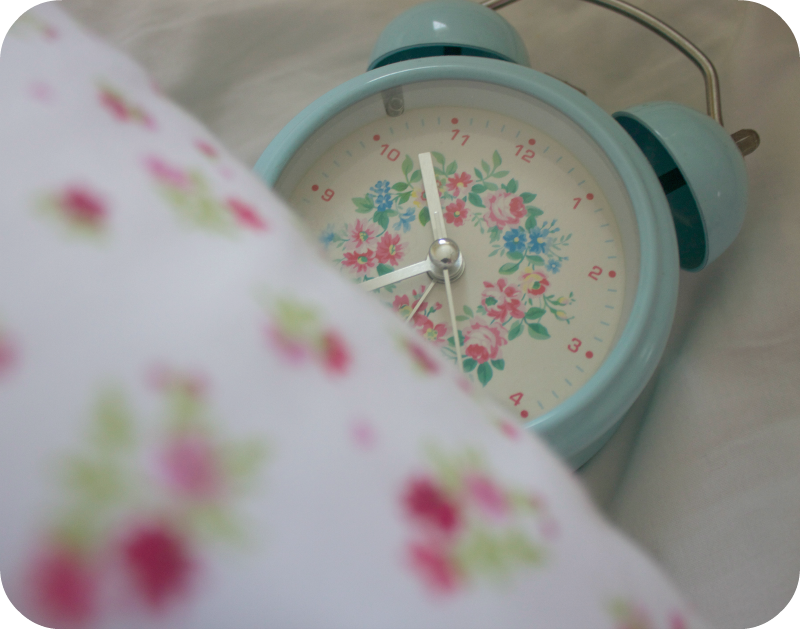 Not having to get up early! Six more days of school holidays and counting. 3. My linen crops. 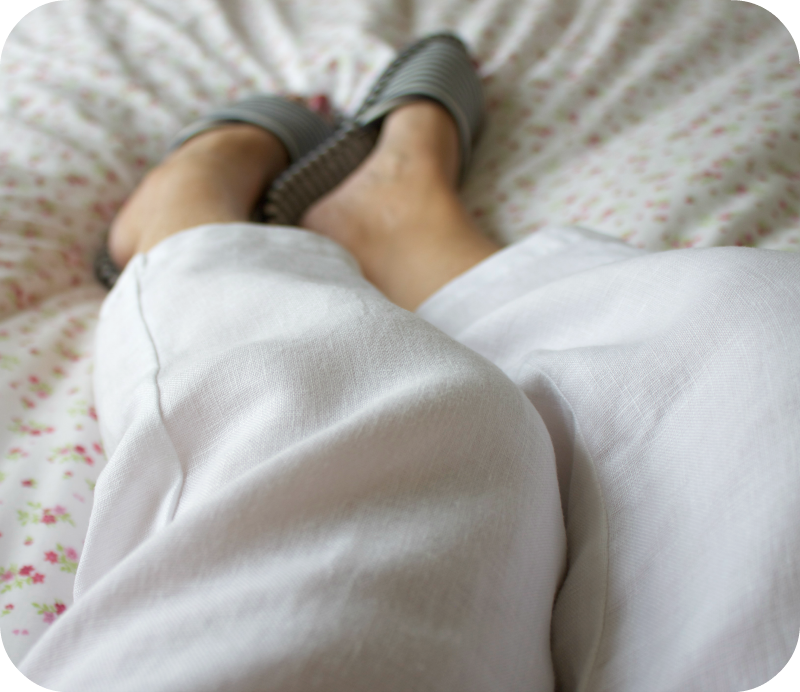 They're so comfortable I have to keep doing a double take just to reassure myself that I haven't left my pyjama bottoms on! 4. This yarn. 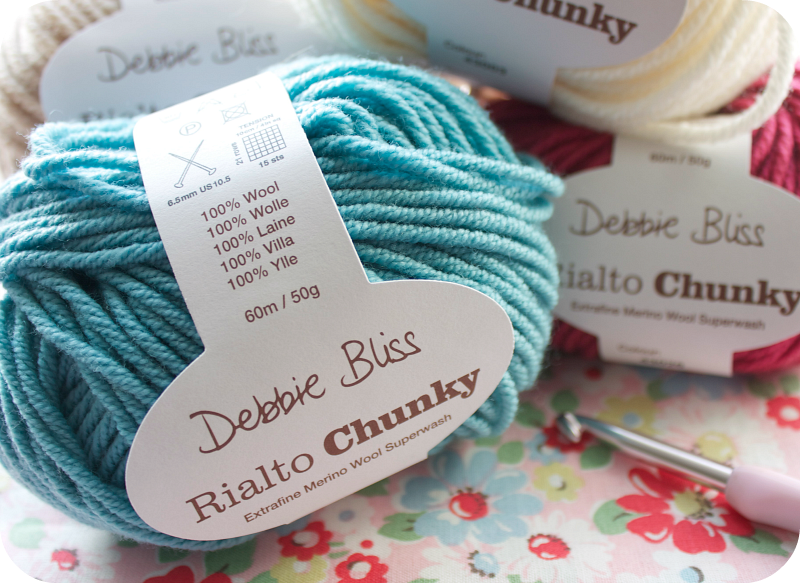 Debbie Bliss Rialto Chunky. I am head over heels in love with it. It's super soft and super smooshy and heavenly to crochet (and knit) with. 6. The nicest of my nice things? 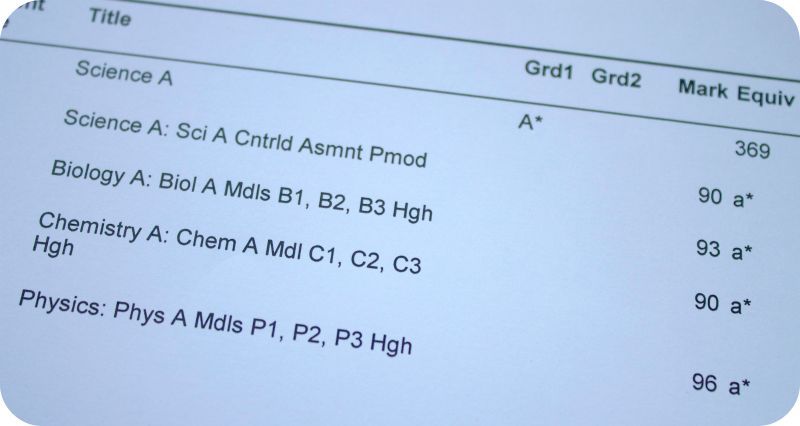 My son's triple science GCSE result, taken a year early. I'm so proud of him I could burst. Hope your weekend is full of nice things. Congratulations to your son on his Science result - that's fantastic!! Lovely positive post as always. I've never got on well with Aldi but I do about 90% of our shopping in Lidl and I think it's great. Such a bargain and a bit like being abroad!! Gorgeous post Heather. I love Aldi, I get most of my groceries there now and think the quality is really good. 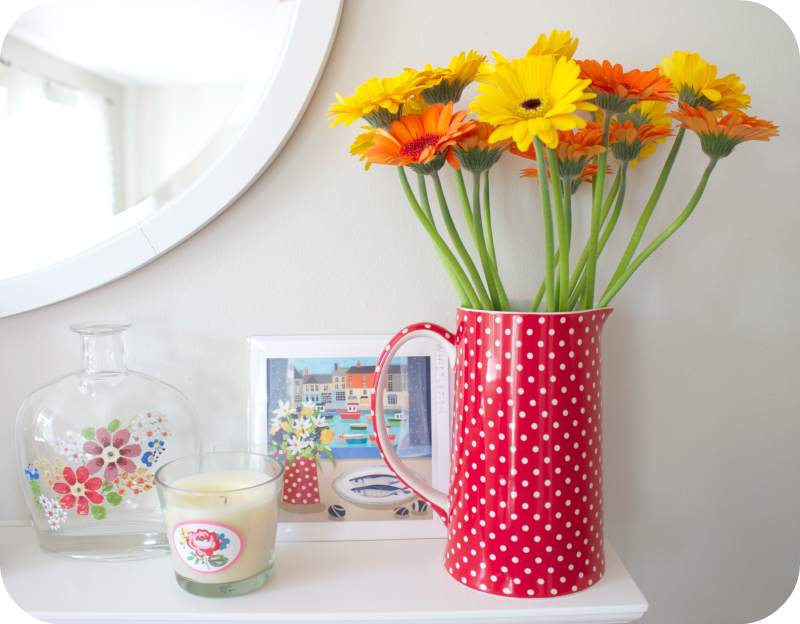 I love their flowers and also have two bunches of Aldi gerberas in a jug on the windowsill, pink ones though! Well done to your boy, you must be so proud of him. Also the Aldi Pinot Noir is good!! I think it's sensible for everyone to shop here, there and anywhere to get a good deal. I think Aldi clientele is a mix...lots of students at the one in York! 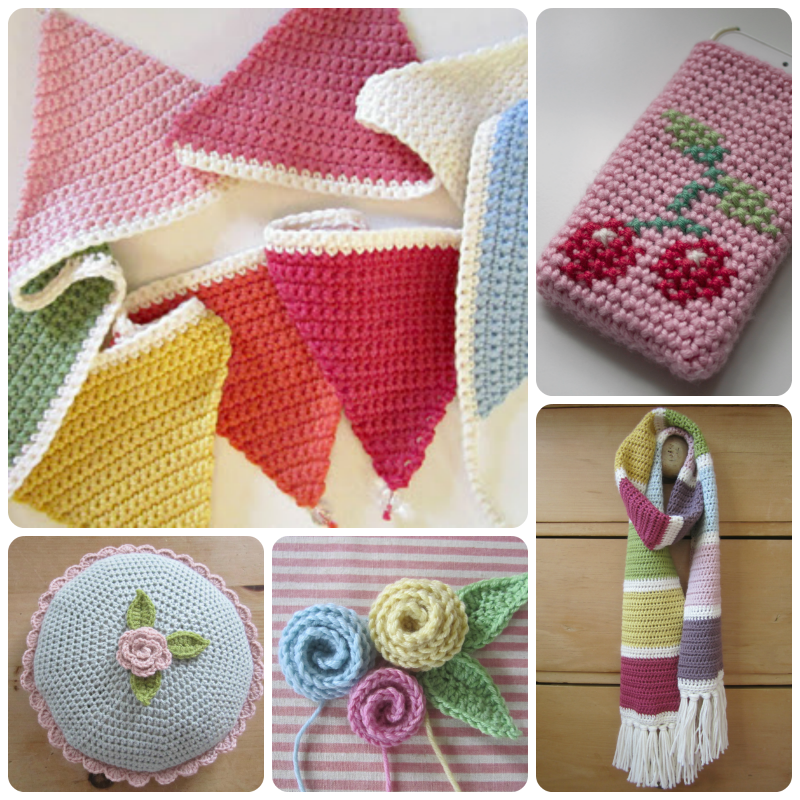 I love Debbie Bliss wool, wondering what you are crocheting? Another vote for Aldi here too! We were amazingly lucky to get a bottle of Chateau Lafite when they got some in just before Christmas, it was fantastic! We also like Rockstone Ridge Merlot which is about a third of the price! Well done to your Son, epic results! You raised a good 'un there ;) I love Aldi and Lidl but as they are both about 30 miles or more from mine the money I saved was used on fuel for the car... 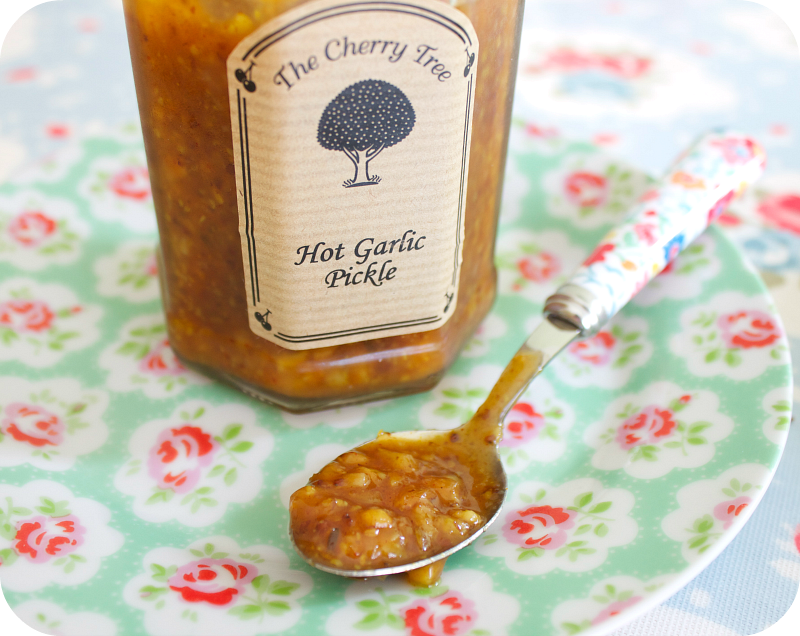 But I do adore Aldi's Cherry Jam. It is the bomb. Very Black forest kind of taste. Just to let you know I've mentioned you over on my blog and nominated you for a Leibster Award.